Being served divorce papers, even when you are expecting them, is never pleasant. While you may be upset, now is not the time to make any rash moves. Your best bet is to remain as calm as possible and seek advice from a Cincinnati divorce lawyer. With the help of legal counsel and some actions on your part, it will be possible to get through this change in your life. Call a lawyer and arrange for a consultation as quickly as possible. Even if you expect the divorce to be amicable, there are details about the division of assets, child support and custody, and other matters that must be settled. Those details must also be in full compliance with current laws which is why you need a divorce lawyer Cincinnati residents can count on. A skilled attorney can look over the papers, the claims found in them, and provide advice on what to do next. Before talking with any of the divorce lawyers in Cincinnati, read the papers from beginning to end. While there may be some legal terminology that you don’t understand, this is where an experienced attorney can help. Your attorney will be able to explain terminology in the different papers to you and go over any questions that you may have. In these papers you will see the grounds that are being used to seek the divorce. You can also determine if the other party has engaged an attorney or is attempting to manage the divorce on their own. Now is the time to make sure all of your financial and other documentation is in order. At this point, you may hope the divorce will be simple, but assume nothing. What begins as a relatively simple divorce can become complicated quickly. Make sure you take steps to ensure you have funds to get by with while the divorce progresses. You also want to ensure all of the martial assets are properly accounted for by the time the case is brought before a court. While you hope for the best, your best bet is to hire a Cincinnati divorce lawyer and get professional help. The lawyer knows divorce and custody laws well and can help you understand how they apply in your case. 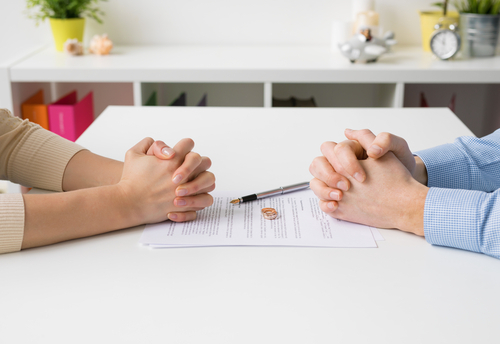 In the long run, hiring a lawyer and following their advice will help you avoid issues that could complicate the divorce or prevent you from making decisions that could affect your life for many years to come.